The small oil companies and banks holding more than $800 million in refundable tax credits scored a victory Wednesday when an Alaska Superior Court judge threw out a lawsuit challenging the state’s plan to sell bonds to pay off those credits. Judge Jude Pate granted the State of Alaska’s motion to dismiss the suit filed by former University of Alaska regent Eric Forrer arguing against the constitutionality of the bond scheme contained in House Bill 331 that the Legislature approved last spring. Forrer filed the suit in May, contending the plan to sell the “tax credit bonds” falls outside the tight sideboards the Alaska Constitution puts on the state’s ability to incur debt. He also said in interviews and through court filings that the plan amounts to a de-facto dedication of general fund money to pay the bond debt because not making the payments would have grave consequences on the state’s credit rating and future finances. Attorneys with the Legislative Legal Services office also questioned the legality of the tax credit bonds while HB 331 was being debated. A competing legal opinion by former Attorney General Jahna Lindemuth declared the bill was constitutional. Geldhof said in an interview that he would be meeting with Forrer Thursday, Jan. 3, to discuss the prospects of appealing the decision to the Alaska Supreme Court and that an appeal is likely. The state Constitution generally limits the Legislature from bonding for debt to general obligation, or GO, bonds for capital projects, veterans’ housing and state emergencies. In most cases the voters must approve the GO bond proposals before the bonds are sold. State corporations can also sell revenue bonds, but those are usually linked to a corresponding income stream and only obligate the corporation to make payments, not the State of Alaska as a whole. HB 331 allows the Revenue Department to set up the Alaska Tax Credit Certificate Bond Corp. specifically for the purpose of issuing the 10-year bonds. State attorneys contended the plan is legal because the bonds would be “subject to appropriation” by the Legislature, which the bond buyers would be aware of, and therefore would not legally bind the state to make the annual debt payments. New Attorney General Kevin Clarkson and Revenue Commissioner Bruce Tangeman praised Pate’s order in a formal statement from the Department of Law. “With this tax credit bond program, we are following through in paying down the tax credits, so industry and the financial markets know we are open for business. This will bring more stability to state finances and help the business community to get the economy back on track,” Tangeman said. Tangeman also said in a brief interview earlier Thursday that the state would be working to release $100 million originally approved in the current fiscal year budget for companies that chose not to participate in the bond plan. “It’s a high priority to cut that $100 million loose,” he said, noting even if HB 331 is upheld at the Supreme Court it will take several months to execute a large bond sale. State officials initially planned to hold the sale last August, but it was put off given the looming lawsuit would almost certainly require high interest rates on the bonds, if they could be sold at all. That situation could remain if Forrer appeals Pate’s ruling as expected. Pate, in a narrow but lengthy ruling, wrote that while the policy implications of selling the bonds can be debated, those issues are not the courts’ to decide, noting that HB 331 has provisions that allow credit holders to sue the Tax Credit Certificate Corp., but not the State of Alaska, if the bonds aren’t paid through appropriations by the Legislature. Hatched by former Gov. Bill Walker’s administration as a way to pay off the large tax credit obligation — expected to be upwards of $1 billion when the final tax credit certificates are applied for — HB 331 would allow the companies and banks holding credits to get their money relatively quickly instead of possibly waiting for the state to pay them off over years of appropriations according to current statute. Until Walker vetoed $200 million worth of the credits in the 2016 budget while facing a deficit of more than $3 billion, the Legislature had always paid off the full credit balance each year. To get paid sooner the credit holders would have to accept a discount of up to 10 percent less than the face value of the certificates. The state Department of Revenue would then use the difference between the credit values and the discounted amount actually paid to cover the borrowing costs. Forrer, Geldhof and others skeptical of the plan have also questioned the economics of it. Supporters of the tax credit bonds insist it is a way to restart investment by small producers and explorers in Alaska’s oil and gas fields that has been slowed by three years of credit payment amounts at levels below what was applied for as the Legislature and the administration debated how to resolve the state’s large budget deficits. The credits were largely issued to small exploration companies that did qualifying work, but they were then often used as collateral for loans issued by investment banks to support additional exploration work. A commonly used credit for explorers with no production and no tax liability had the state paying 35 percent of the cost of qualifying work in cash. When the earned credits weren’t paid off in full in the fiscal years 2016-18 state budgets, as had previously been done, the banks holding them mostly stopped lending into the Alaska oil sector. In one unique instance, the Department of Revenue in October 2015 issued a $22.5 million tax credit-backed loan to a holding company set up by the state-owned Alaska Industrial Development and Export Authority. 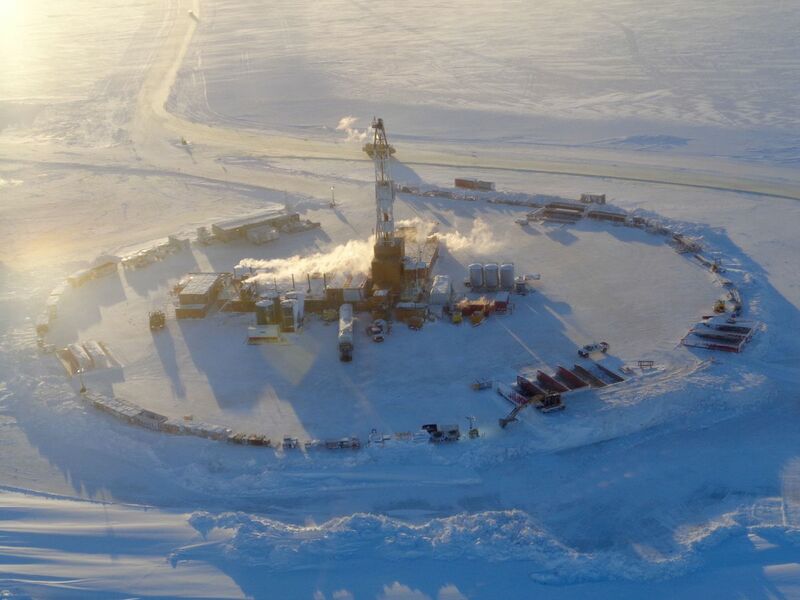 The loan was made because the authority had not received payment on its investment in a small North Slope oil development spearheaded by Brooks Range Petroleum Corp. — payment that was supposed to come from tax credits paid by Revenue for work Brooks Range had performed. Forrer and Geldhof rebut that the new corporation would not have any revenue of its own — which Pate acknowledged in his order — but would rely on legislative appropriations from the general fund. According to Geldhof, Pate incorrectly applied a prior Alaska Supreme Court decision involving a lease-purchase agreement that does not apply to this case. “Everybody’s admitting that, well, if a future Legislature doesn’t use general funds to give this phony shell corporation the money to pay back the bond holders there’ll be enormous consequences through Moody’s and the other ratings agencies and Alaska’s credit rating will take a hit and there is recourse,” he said. Permitting the state to invoke the subject to appropriation language and set up pass-through corporations for the use of selling bonds sets a dangerous precedent, Geldhof argued further. While he disagrees with Pate’s ruling on multiple fronts, Geldhof said he appreciates the effort that went into it. During oral arguments in October Pate said he would issue a decision in early November, but the 44-page order wasn’t published until Jan. 2. “As an attorney I at least want to know the judge heard my argument. He clearly did because he labored on it,” Geldof commented.